With New York City flowing through her veins, and readily admitting that opera and the arts are her ‘true love’, Frédérique Barbier has been showing off the wonders of her home town to visitors for the past 15 years. 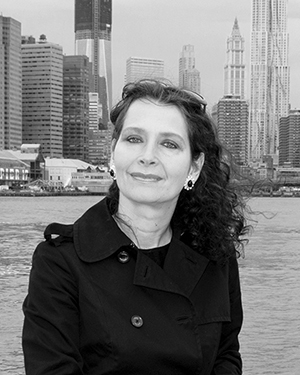 Born in Switzerland, and a French national, Frédérique studied comparative literature, philosophy and opera in the US and Germany before relocating to New York, which she now calls home. With a keen interest also in architecture, history and culture, she is a licensed tour guide in both New York and Washington, D.C., as well as a member of the Guides Association of New York City. She is also fluent in French, German, Italian and Spanish.